Plasties Twist Tying Solutions for closing bags. Twist tie machines for items ranging from closing bread bags to bundling cables. Widely used around the world to speed up production and achieve consistent closures. 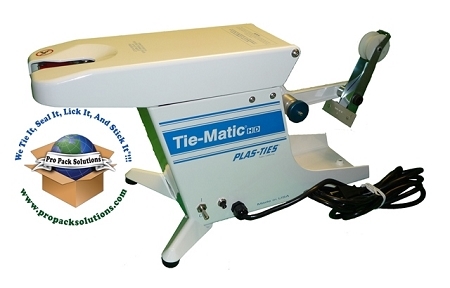 Plasties offers a machine to create secure re-usable twist ties to close and seal bags. If you are twist tying over 100 items a day, an automatic tying machine will help you to work more efficiently, increase your productivity, and have less wrist fatigue. The HD series are optimal for twist tying: bags of baked goods, bread, tortillas, cookies, candy, popcorn and even cake pops. You can also bundle cords, cables, fiber optics, wire harnesses and medical tubing are popular products twist tied by the Tie-Matic HD's. 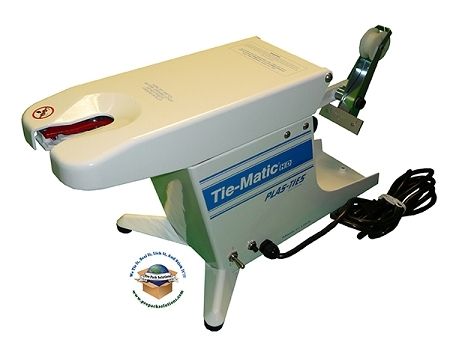 Several industries related to baking, foods, electrical and medical trades will benefit from the speed, reliability and consistency of the Tie-Matic HD Series Twist Tying Machine. Need to bundle electrical wires? Works great in electronic wire harness manufacturing in lieu of rubber bands and tape. Is there really a big time savings over hand tying??? Click here for more info. So how much do I save in Employee Cost? Click here for a chart. Several machines for applying a twist tie to products like bread bags, candy bags, wire bundles, hoses, etc. Twist tie machines can be mounted in various angles to improve performance. 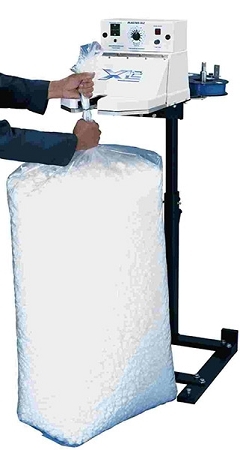 Visit our page showing the different ways to mount the machines with different items being tied. Click here. November 2008 Plasties introduces the new Heavy Duty models which combine all the best features of the standard 600 series with the soft touch options. Make sure to register your machine online with the manufacturer after purchase to get the full warranty available at www.plasties.com. We do not offer loaner machines under warranty. All loaner machines acquired through the factory under warranty are done so between you and Plasties. HD38- 3/8" Twist Tie Machine. Used in Bakeries, wire cable plants, etc. Seals bags fast and efficient. HD58 - 5/8" Twist Tie Machine. Used in wholesale bakeries and wire processing facilities. HD78 - 7/8" Twist Tie Machine. Used in wire processing facilities and for tying large poly bags. 603, 604, and 608 - Discontinued. Standard units for 3/8", 5/8" and 7/8" diameter applications. MagicCoder - For applying messages up to 36 characters on the twister. Available for the HD38, HD58 and HD78 models. 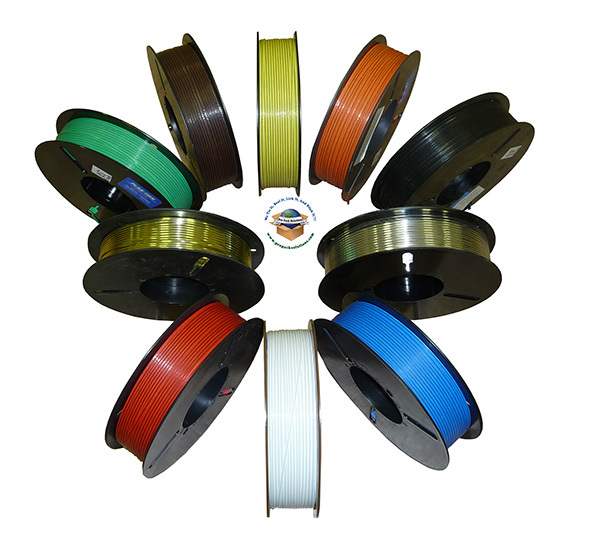 Twist Tie Material - Spools or cut ties. XL-2 - For larger applications up to 2" in diameter. Used extensively in the wire industry and applications that tie odd-ball products. XL-8 Air-Ring Tyer- The largest twist tie machine from Plasties. Ties from 1" up to 8" diameters and fully adjustable tie lengths. 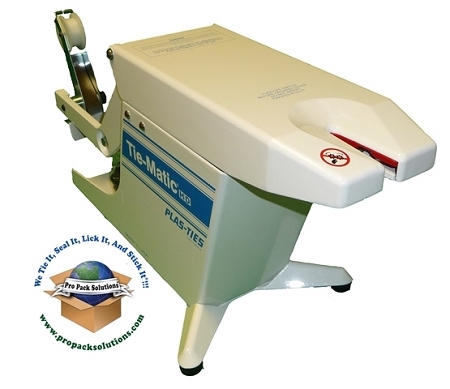 XL-S - Table top twist tying machine for diameters .5 up to 4 inch diameters. The adjustable tie length saves on material.